Life on the road is not always easy. Although the great outdoors does not have any definite boundaries, your RV definitely does. It can be frustrating trying to live comfortably when your caravan is overflowing with belongings, and the problem just gets worse depending on how many people are along for the ride. 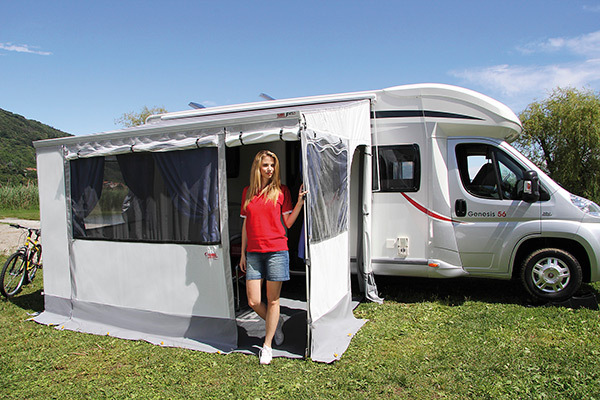 As a result of having experienced cramped camping spaces, the experts at Caravan RV Camping are now offering high-quality and dependable caravan annexes for sale. 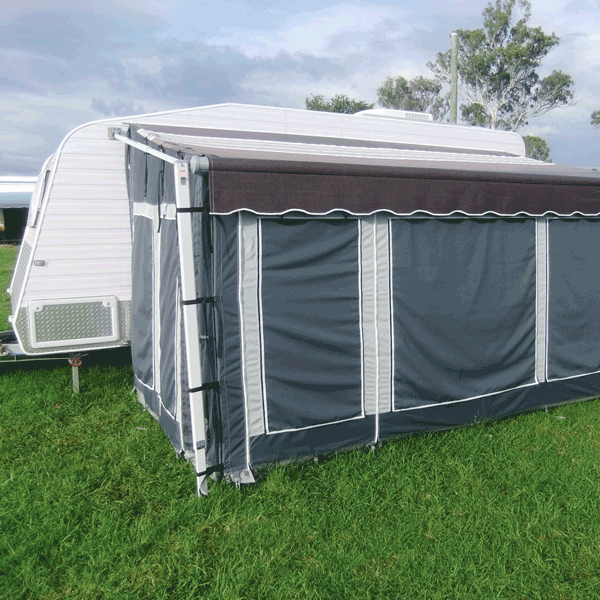 Our Coast to Coast Awning Wall Kit is perfect for setting up a nice outside sun room (with windows!) and is both easy to install and clean. 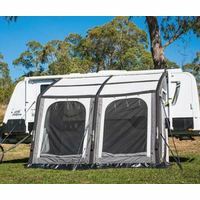 Fiamma, on the other hand, specializes in privacy, offering a four-sided Privacy Room Annexe in various sizes, perfect for getting a bit of alone time with a loved one or setting up a sleep space for the kids. 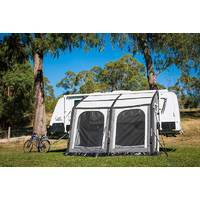 Included in Caravan RV Camping’s collection of annexes for sales and offered in various sizes. 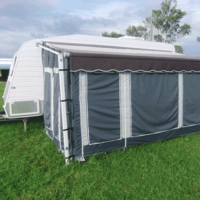 Made of 100% polyester, these awning systems also come with an adjustable wedge, allowing the system to be installed on even the most sloped area. Why should camping prevent you from living like royalty? With our online catalogue, including brands such as Dometic, Waeco, Coast to Coast, and Fiamma., our vast collection of camping and RV accessories are sure to leave no stone unturned. 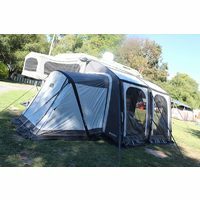 Have you been looking to take you camping experience to the next level? Then you’ve come to the right place. 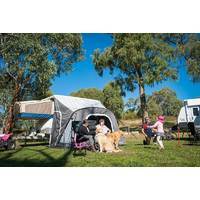 Caravan RV Camping is Australia’s leading online superstore for everything camping and RV-related. Whether you’re looking for parts & accessories, large appliances (like fridges, toilets and washing machines), electrical components, generators, or awnings, we have you completely covered. Why make life more difficult than it needs to be? 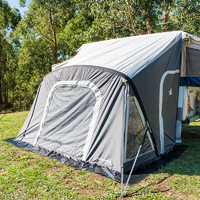 Come explore our online catalogue now, and let the Flynns make your camping experience a little more pleasant. For any questions or concerns, feel free to contact us at 1800 RV PARTS (1800 787 278). We look forward to hearing from you!